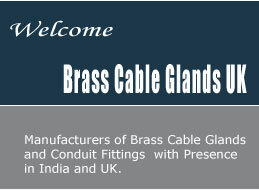 * BRASS GLAND kits FOR USE WITH ALL TYPES OF FLEXIBLE WIRE BRAID CABLE. * TO PROVIDE IP66 SEAL ON THE OUTER SHEATH. PROVIDES SEAL ON OUTER SHEATH OF CABLE AND CLAMPING OF THE WIRE BRAID FOR ELECTRICAL CONTINUITY. (4) PVC DIP MOULDED SHROUDS.